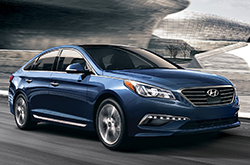 A frontrunner among midsize sedans, the Hyundai Sonata stands out from the crowd with its daring curves, modern technologies and comfortable cabin. This great mix of attributes led Edmunds editors to call it one of their favorite cars in the segment. Additionally, Edmunds' 2016 Hyundai Sonata review describes the sedan as a "seriously quiet car," which is a great perk if you're looking for a ride that's not disrupted by outside noise. When you come check out the 2016 Hyundai Sonata in Arlington, you'll have a wide range of trim levels to explore, including: SE, Sport, Eco, Limited, Sport 2.0T and Limited 2.0T, along with the Sonata Hybrid SE and Limited. Both gas and hybrid models receive notable changes this year as well, which we have details for below! 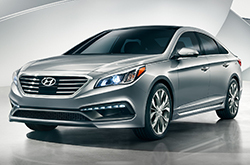 Starting with the gas-only Sonata, the rearview camera and automatic headlights are now standard on all trim levels. On top of this, handling is improved thanks to modified suspension tuning and the top-tier Limited 2.0T gains new automatic emergency braking. There's also more reason to take home a 2016 Hyundai Sonata Hybrid in Arlington this year, too. The hybrid model offers a 10 percent increase in fuel economy and a redesigned interior and exterior that are more sophisticated, contemporary and upscale-looking than before. Many 2016 Hyundai Sonata reviews compliment the hybrid's new looks and optimized efficiency, saying they make the model a more appealing choice than ever. As far as what carries over, shoppers can still expect to find great standard features like heated mirrors, Bluetooth, satellite radio, power accessories and cruise control standard on every 2016 Hyundai Sonata in Arlington, Texas. Plus, if you choose an upper trim or one of the sedan's many packages, you can take advantage of even more premium amenities, including appointments like heated front and rear seats, blind-spot monitoring and a sunroof. See the rest of our review for more details, then call to schedule an appointment for a test drive! Compare Hyundai's newest model of the Sonata to its rivals and we're confident that you'll choose it over vehicles like the 2016 Kia Optima, Toyota Camry, Ford Fusion, Mazda 6 and the Nissan Altima. The Sonata's got several terrific characteristics, including its cutting-edge onboard technologies and attractive looks. When compared to the vehicles listed above, in terms of price it's clearly a truly outstanding value, making it a popular choice among Hyundai customers in Arlington. Check out our Quick List below this text for more information about what it offers! Does the Sonata have what you want out of a vehicle? Check out Vandergriff Hyunadi's overview above, as well as other 2016 Hyundai reviews to find the right model for your driving needs. Stop worrying about your next purchase; look to the top-rated Sonata franchise in Arlington for well-researched reviews composed by automotive enthusiasts. 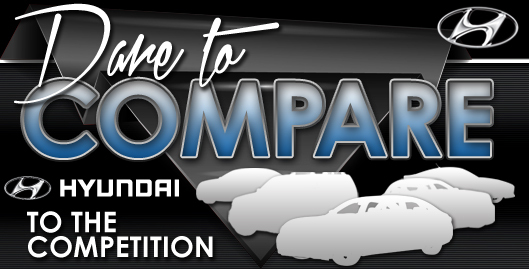 Everything perspective car buyers need to make informed decisions is right here, including info regarding mpg and other specs. Each summary is up to the hilt with essential data and specs - all at your fingertips. 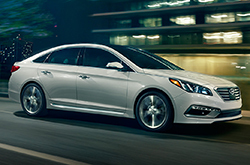 After checking out our review of the Sonata, find out about great lease offers that'll help you save a substantial amount on your purchase at our Hyundai dealership in Arlington.